Many of us get caught up in trying to be perfect. Even as full-grown adults with rational minds, we can’t seem to let go of the pressure from society (maybe it’s not society, but you), to be perfect. We try to reach an ideal weight, eat the right foods, get the right amount of exercise, etc. In last week’s episode of Dragon Spirit Radio, you’ll learn how to have the perfect body. The soulution (typo intended) might come as a complete surprise to you. Those of you who know me by now, know that I don’t do schlocky stuff, so this ain’t going to be about what you might think it appears to be. There’s always a deeper level and one, that is way more fulfilling than having the perfect body. And of course, the irony is, that by following the deeper purpose, you will find yourself with a perfect body. Magic! That’s how it works. Listen online to the latest episode of Dragon Spirit Radio (it’s in the archives waiting for you!) 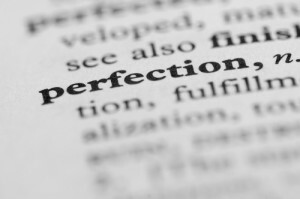 to learn about the pursuit of perfection, and how to let it go so that you actually attain perfect health.